Researching Chinese citizens has pros and cons – while they like discussing their preferred possessions face-to-face, they are less inclined to take part in online surveys says Kadence International’s Greg Clayton. Expensive, complex, unfriendly, poor quality – for Westerners, these challenges often come to mind when considering a research project in China. Historically, it’s true that many of these factors were the case, but times have changed. China is now a country where capturing primary data from individuals is not just easier, but outright easy. This is partly due to the rapid expansion of its middle class. Although it’s not that long ago that China was considered a relatively poor nation, well-documented developments over the past 15-20 years have led to a vast increase in personal wealth across the country. By 2022, McKinsey forecasts that 76% of the country’s urban population, equating to around 550 million people, will be considered middle class (and over half of these people will be deemed ‘upper’ middle class). 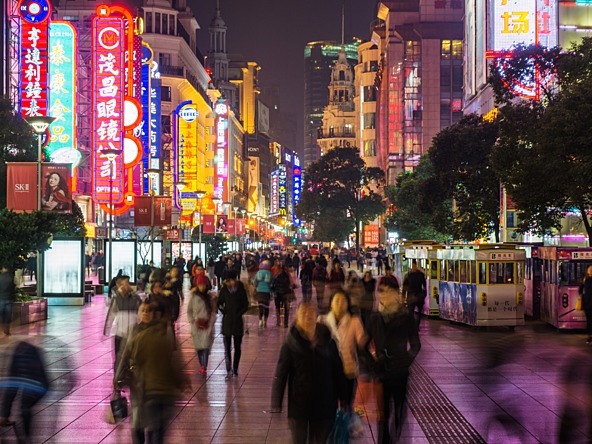 With the amount of disposable income in China dramatically increasing, brands can tap into the new economic potential, bringing opportunities for market researchers in the region to explore and understand this rapidly growing group of consumers. This new wealth is turning China into a far more open nation, certainly in terms of willingness to support the research process. Certain qualities embedded in Chinese culture make research straightforward such as a strong work ethic and focus on earning. This means that we encounter a huge sense of pride associated with gaining personal wealth. And unlike in Western cultures, talking about the acquisition of wealth isn’t considered boastful. The Chinese are happy to share their economic position and motivations with researchers. The pride the Chinese feel towards their material possessions is especially helpful to researchers completing ethnographic research. The Chinese are happy to welcome researchers into their homes, regardless of the size of their property (partly because they want to show off their lifestyles). Chinese citizens use their wealth to establish a personal brand; ultimately, it’s a way to differentiate themselves from the rest of the burgeoning population. So an ethnographer’s request to observe a person in their most intimate environment is highly flattering to many egos. Along with the desire to show off, the Chinese also have an intrinsic and genuine desire to please, which supports research methods that are face-to-face. Research participants are committed to providing a high-quality service and are therefore easy to work with. They are also very eager to build real connections with people. The density of China’s population, especially in cities, means that it’s easy for people to feel alienated. A lack of community can result from this mass of people – as it’s impossible to get to know everyone, and so consumers are happy to establish relationships through face-to-face research. But this desire to share stories of personal wealth does mean that researchers need to exercise caution when listening to participants and analysing responses. Researchers must recognise how the inclination to show off, as well as the desire to please, might impact data quality. Researchers must filter out responses that are likely to be exaggerated or embellished. This desire to show off also has limitations when it comes to online research. Unlike many countries, where online data collection promotes honest and engaging feedback due to a less invasive and less personal environment, China proves different. The anonymity of online research means that unlike during a face-to- face interview or observation, consumers fail to see the more immediate benefit of taking part in the research, so there is little motivation to get involved. Even when persuaded to take part in online research, they often give unreliable answers, meaning data quality suffers. Even if the competitive and regulatory landscape for brands is challenging in China, the commercial possibilities are endless. Tapping into the Chinese willingness to allow brands to learn about them through research will ensure strategies that are set for success.